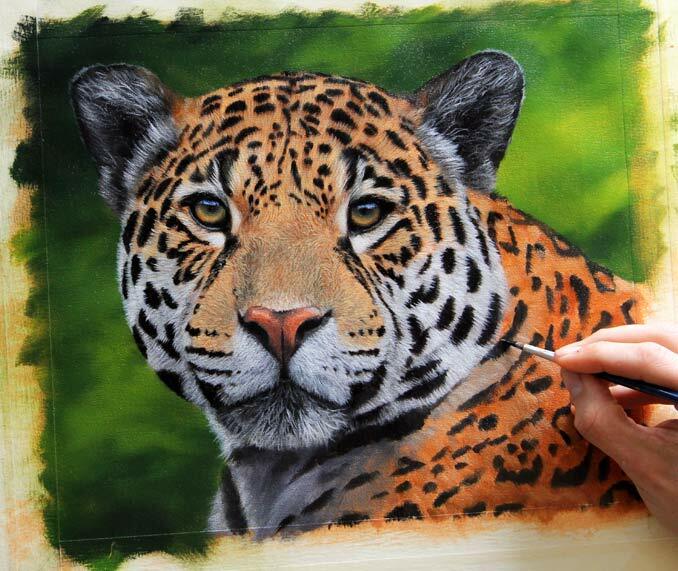 Here is the latest update, basically all the underfur is now painted in, now comes the fun part, adding the details and adjusting the colours and tones to make it look much more realistic. 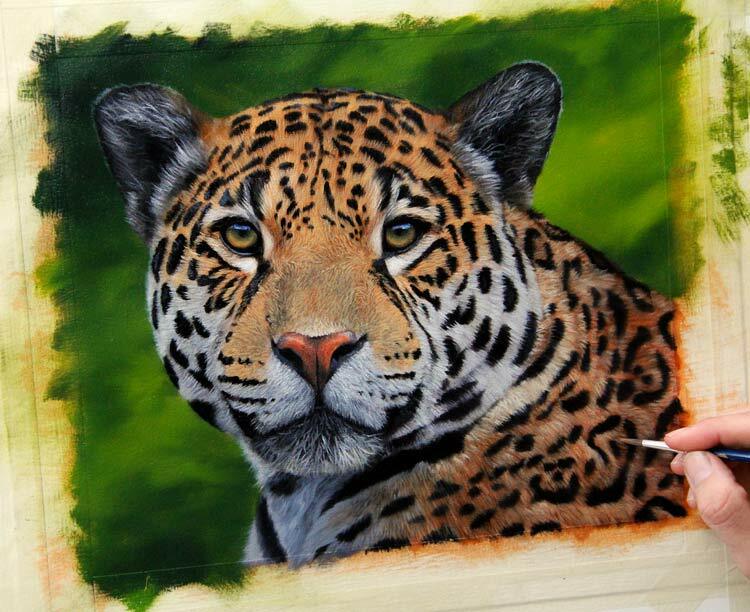 Here is the latest update on the Jaguar painting. Just the 1st layer of texture.